When you’re making Schnitzel you’re using eggs, flour, and Semmelbrösel (breadcrumbs made from Semmeln, a type of rolls which takes a blog post of their own to explain) to make a breaded crust for a thin cutlet. Then you fry it in a pan. Traditionally, it is served with any form of potatoes or salad. But it can also be served with other vegetables or rice. Wiener means Viennese, therefore a Viennese form of Schnitzel. 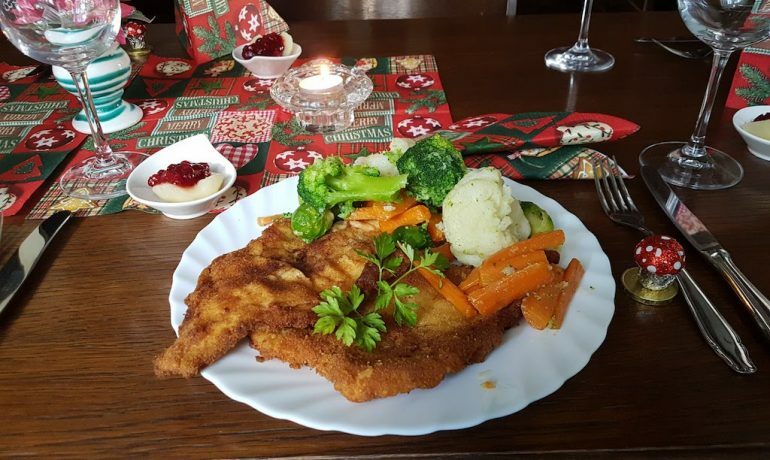 While Schnitzel comes in many forms, such as chicken Schnitzel or other types of meat, the original is veal Schnitzel, although pork Schnitzel is actually eaten more commonly and also cheaper. So keep that in mind if you’re travelling on a budget. Schnitzel as big as a toilet seat is probably not how you usually order a portion. But that’s exactly how I’ve heard the portion size affectionately described at Figlmüller, one of the most famous place to serve Schnitzel in Vienna. If you don’t want to queue, you can choose any of the many small restaurants, especially around the first district. 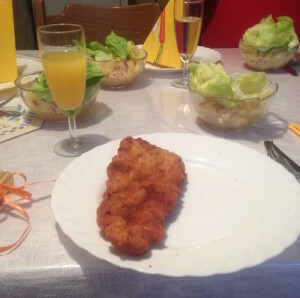 Those who serve local cuisine, usually also serve Schnitzel. 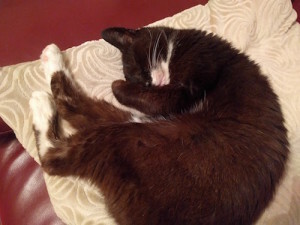 Even our cat – Susi, with her 17 years, is not the most active – gets creative and athletic when it comes to stealing Schnitzel, no matter how well it is hidden.